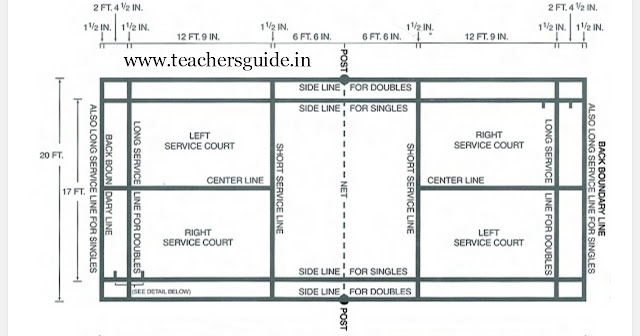 Dimensions of Badminton court - 44 feet length × 17 feet width for singles, and 44 × 20 feet for doubles. Height of badminton net - net is 5 feet 1inch high at edges and 5 feet high at center. Size of badminton racket - maximum 680 × 230 mm. Weight of badminton racket - 100 grams maximum. Measurements of shuttlecock - shuttlecock has 16 feathers with each feather 70 mm in lenght, diameter of cork is 28 mm maximum and top circle of feather is 54 mm. Weight of shuttlecock - 4.75 to 5.5 grams. Badminton is a sport that has been around since the 16th century. The sport is played indoors and the pinnacle comes from its Olympic events. The sport is very popular in Asian countries such as China and India with these countries leading the way by producing some of the world's best players. The object of badminton is to hit the shuttlecock over the net and have it land in the designated court areas. If your opponent mangaes to return the shuttlecock then a rally occours. If you win this rally i.e., force your opponent manages to return the shuttlecock out or into the net then you win a point. You are required to win 21 points to win a set with most matches being best of 3 sets. Points can be won on either serve. A point is scoring when you successfully hit the shuttlecock over the net and land it in your opponent's court before they hit it. A point can also be gained when your opponent hits the shuttlecock into either the net or outside the parameters. To win a game you must reach 21 points before your opponent. If you do so then you will have won that set. If the scores are tied at 20-20 then it comes down to whichever player manages to get two clear points ahead. If the points are still tied at 29-29 then the next point will decide the winner of the set. Winning the overall game will require you to win 2 out of the 3 sets played. A game can take place with either two (singles) or four (doubles) players. An official match has to be played indoors on the proper court dimensions. The dimensions are 6.1m to 13.4m, The net is situated through the middle of the court and is set at 1.55m. To Score a point the shuttlecock must hit within the parameters of the opponents court. If the shuttlecock hits the net or lands out then a point is awarded to your oppenent. Players must serve diagonally across the net to their opponent. As points are won then serving stations move from one side to the other. There are no second serves so if your first serve goes out then your opponent wins the point.